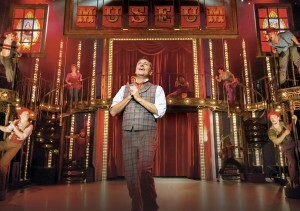 High wire Brian Conley brings circus musical Barnum to Wycombe Swan. Brian Conley has spent a lot of his distinguished career playing Americans, even if there’s no mistaking the Englishman’s distinctively husky voice during an expansive interview one recent afternoon. A native Londoner, Conley was a 1996 Olivier nominee for his performance as the Lithuanian-born American singer Al Jolson in the musical Jolson. He has also appeared on stage as Professor Harold Hill in The Music Man at Chichester and as the capacious, warm-hearted Edna Turnblad in Hairspray – the role originated in the West End by Michael Ball and then on screen by John Travolta. Most recently he played Fagin in Cameron Mackintosh’s national tour of Oliver!. 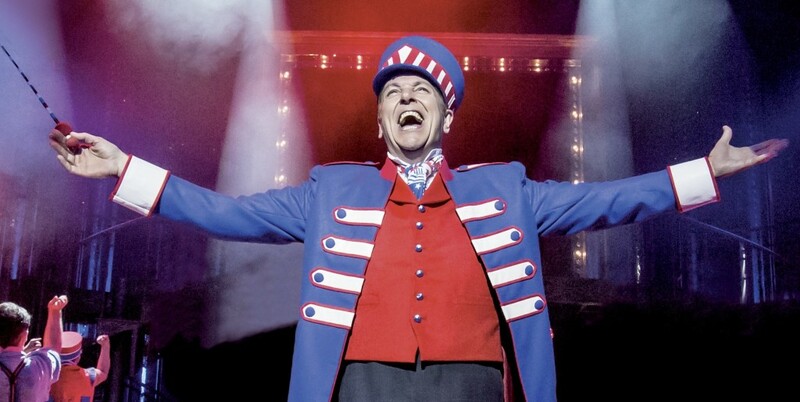 Conley, 53 plays the title role in Barnum which opens at the Wycombe Swan tonight. The extravagant big-top musical is a revival of the much-loved Cy Coleman-scored show about Phineas T Barnum, the circus entertainer extraordinaire who was famously known as America’s greatest showman. Brian, who had to learnt to walk a tight-rope for the role, said: “I saw Michael Crawford do it originally in the West End. “It’s a show that I’ve always admired, just as I’ve admired everyone that has taken on the role. So now to be asked by Cameron Mackintosh to have a go myself is a wonderful honour. 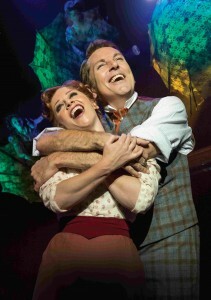 “I saw this production in Chichester last year and just loved it. “Since Christmas I’ve been at circus school twice a week every week to pick up certain skills that the show requires. “I have moments of thinking that I’m too old for this but then I think to myself: ‘It’s as if I’ve been called up by the England manager of the theatre world in Sir Cameron Mackintosh so I can’t let him down’. “And the wonderful thing with Cameron is that there’s absolutely no skimping; you know everything will be done to the highest degree. “I did find myself thinking initially, when I was on the tightrope: ‘What am I doing here?’ I’m not afraid of hard work, whether in this or any show. “I fractured my finger doing the tightrope and that was when I was all of one foot off the ground. I think you can say that I’m afraid of falling but not afraid of heights. “What I’m hoping I can bring to Barnum is a real contact with the audience where we play off and talk to them and keep them engaged. “It’s important whatever you’re performing to be visually interesting so you don’t just stand there and waffle on. “When I’m on stage I feel very much as if that is where I belong. “My commitment to taking an audience somewhere is important to me: being live on stage feels like home to me, and I always say that I was born to do it”.